and she is out for a run. 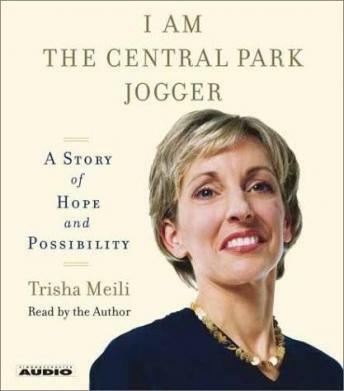 I Am the Central Park Jogger recounts the mesmerizing, inspiring, often wrenching story of human strength and transcendent recovery that involved a family, a hospital, a city -- in fact an entire nation -- of supporters. Even today, more than a decade after the attack, the Central Park Jogger is still in the news. As she writes this story, the headlines scream JOGGER once more. Startling new information about the crime emerges. Because of the nature of her head injuries, she remembers nothing of the attack. Whether one man or several nearly took her life, the damage was done. And for the Central Park Jogger, the crime was not the climax but the beginning of her journey. She tells us who she was -- a well-educated young woman working on Wall Street -- and who she is now. Once comfortable in a high-pressure corporate boardroom, she is a woman who has had to learn to talk again. She is not the woman she was -- physical and cognitive 'deficits' linger -- yet she is stronger and more alive than she has ever been. The event meant to take her life gave her a deeper one, richer and more meaningful. How does one survive when others have tried to destroy them could lend itself to many people and situations. That's what I took away from this book. The inner strength this woman had. No magic beans. She had the acceptance--and appreciation of what is...not just what was. She chose the present, thus giving herself a future. This book was very powerful. I found her ability to recover a strong story on survival. She was able to take what was given to her and make decisions on how to move forward. I found that I talked about this book quite often with my co-workers and told them that they need to concentrate on how to move forward. This was based on the story that was shared with us. Book is well written and beautifully read by the author. Does not focus on the tragedy but rather on the recovery. An incredible triumph. I would love to hear her speak sometime. I found this book interesting, but there were a few times I thought I'd heard enough. I listened through to the end, but I think that was because my next selection hadn't come in the mail yet.